A global challenge needs a global response! This could be the motto of the Social and Solidarity Economy. 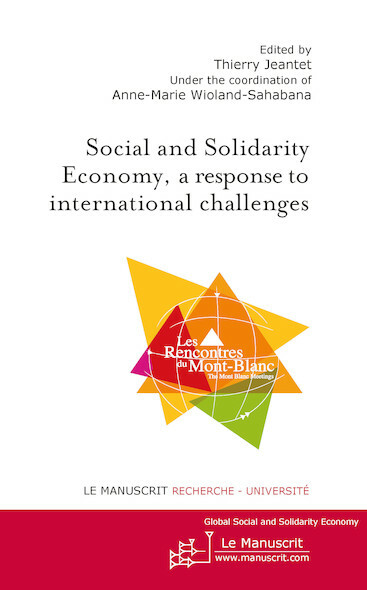 This book, produced under the direction of Thierry Jeantet, President of the Association of the Mont-Blanc Meetings–The International Forum of the Social and Solidarity Economy Entrepreneurs, is a collection of articles written by actors of the Social and Solidarity Economy coming from several continents. Diversity and plurality. The diversity of the authors of this book, of their profession and country, of their observation angles –some economic, others social or ecological– beyond an intellectual interest, embodies the diversity of the SSE which partly makes its strength.